Today is 3rd December, and that means it’s Jinglepup’s birthday! 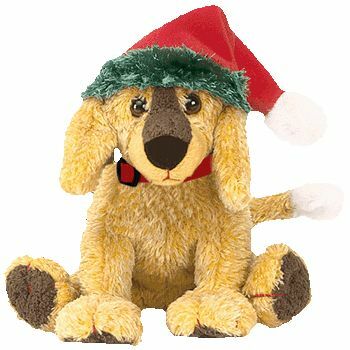 Jinglepup was released back in 2001 and is a Christmas themed Beanie Baby dog. Four different versions of Jinglepup were released, each exclusive to a different country. There was a USA version with a green hat trim and white tail tip, a Canada version with a white hat trim and white tail tip, a UK version with a green hat trim and a green tail tip and a Singapore version with a white hat trim and green tail tip.